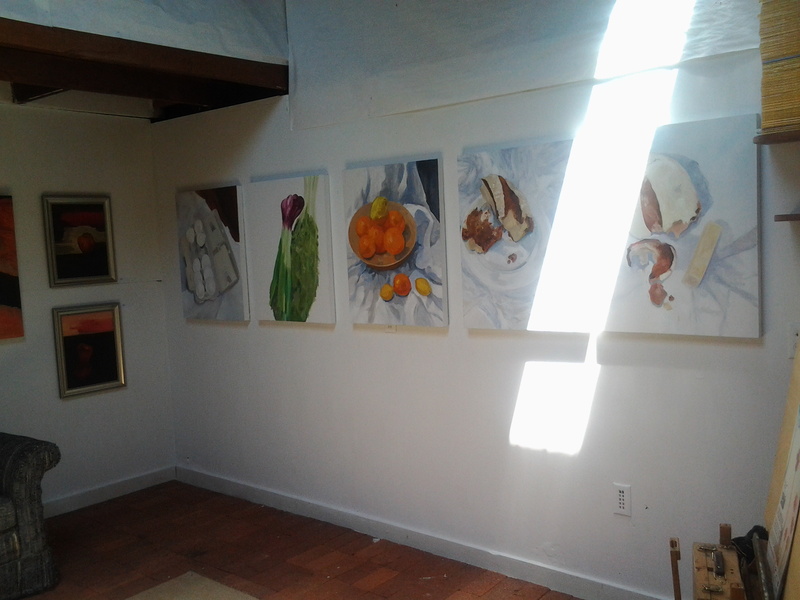 The past weekend was a great start to the East Bay Open Studios for 2012. The weather was fantastic and the general ambience so friendly and enthusiastic, that I’m looking forward to next weekend already. Around 400 artists open their doors to the public gaze during these two weekends. For artists it’s a great opportunity to tidy up, clear out the clutter, and see many friends and neighbors, as well as allowing us to take a break from our normal routine, show our work in progress, display completed projects, and talk to a wide range of people and interests. 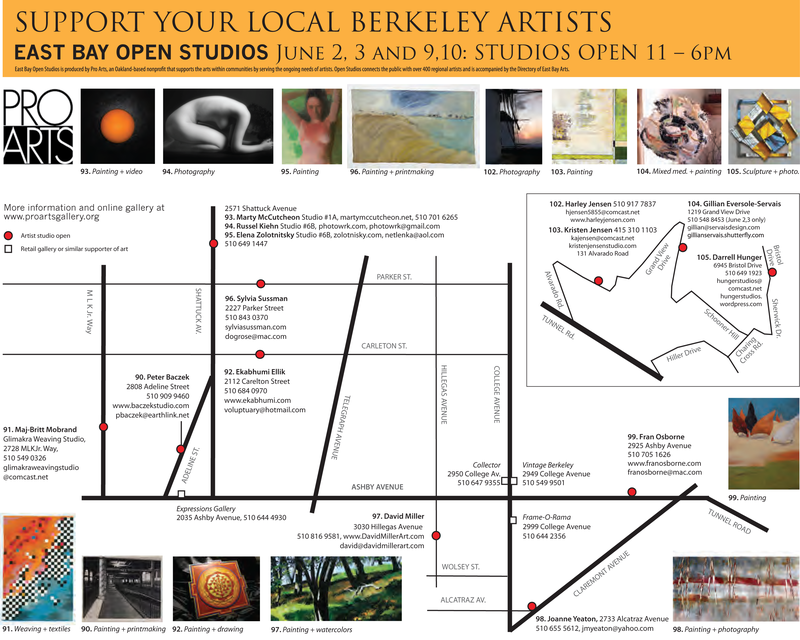 A few weeks ago I got together with other studios nearby, to create a map of some wonderful local artists for visitors to the Claremont, Elmwood and Lorin areas of Berkeley. Our choice includes 8 painters/printmakers, 2 photographers, 3 mixed media artists and a weaver. I’ve included the map below.